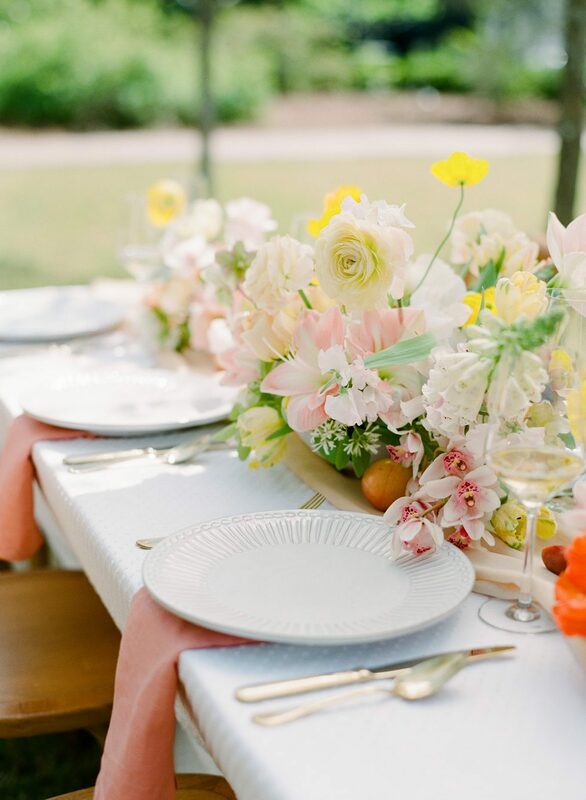 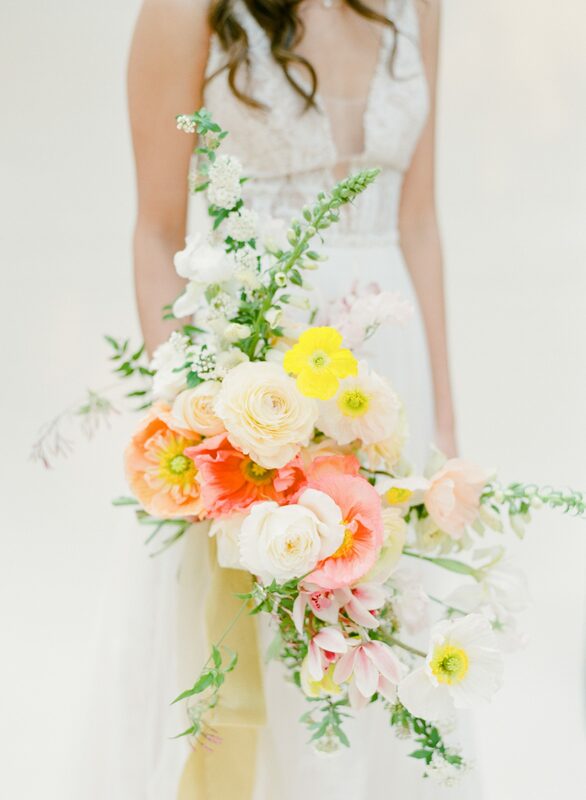 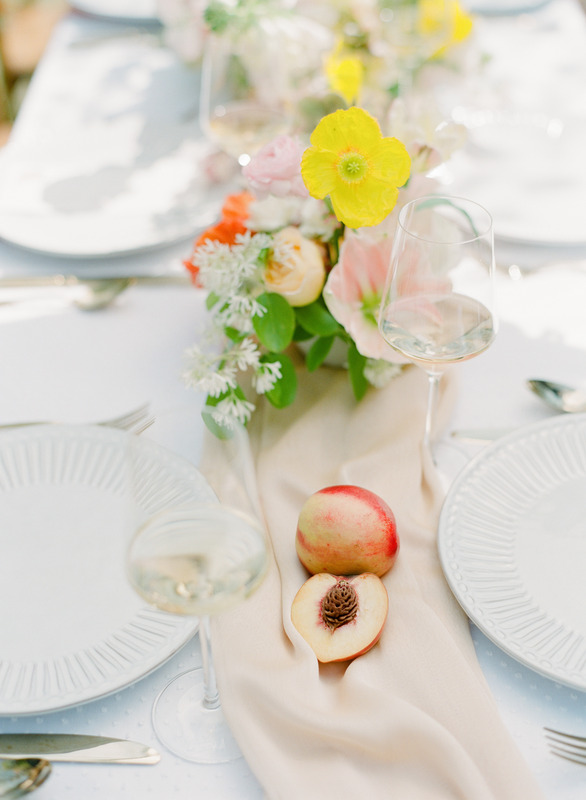 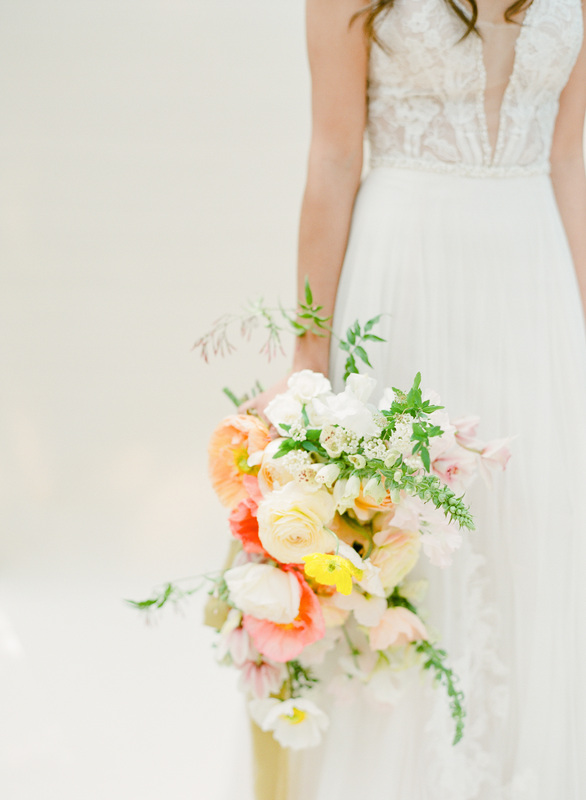 This beautiful collaboration all started with a fruit inspired color palette- lemon, apricot, peach, olive leaf, and neutral accents. 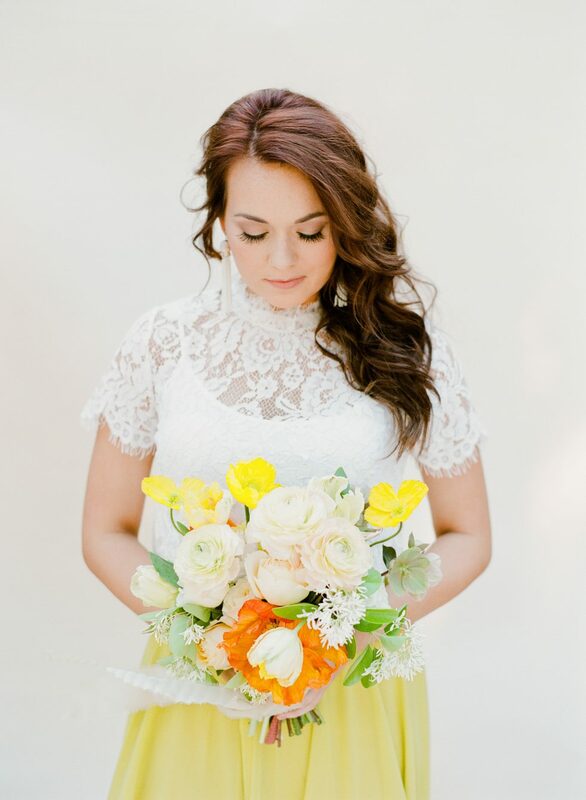 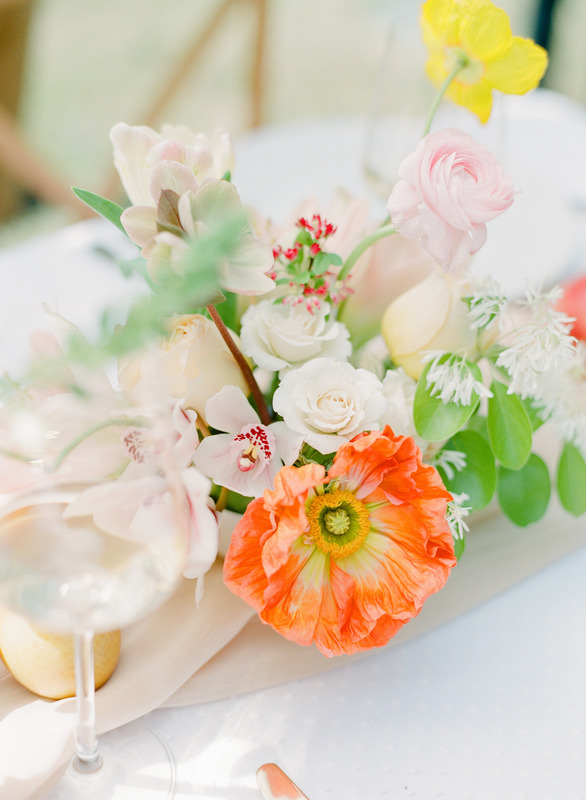 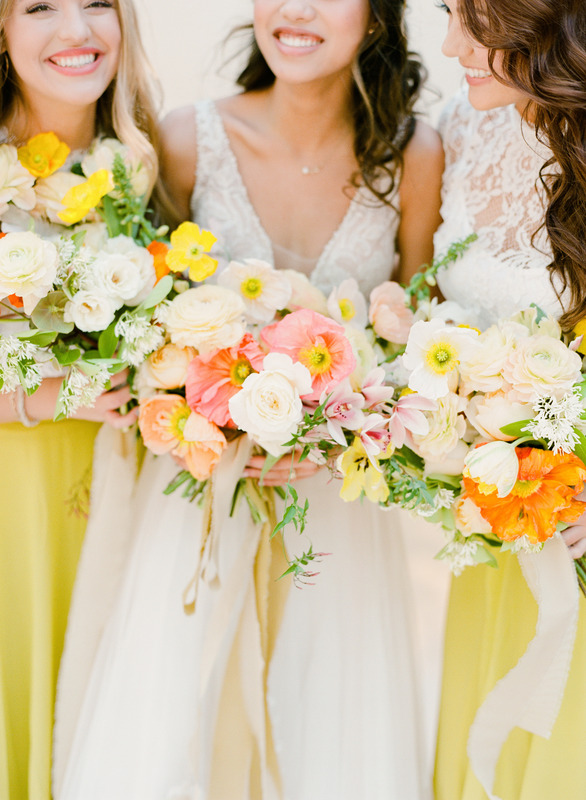 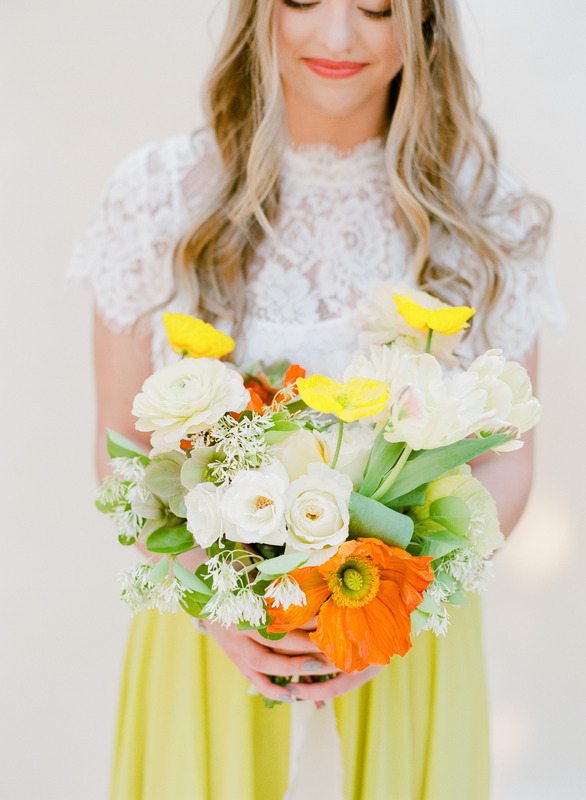 We gave yellow a little love by sprinkling in all around the florals – hello local yellow Poppies! 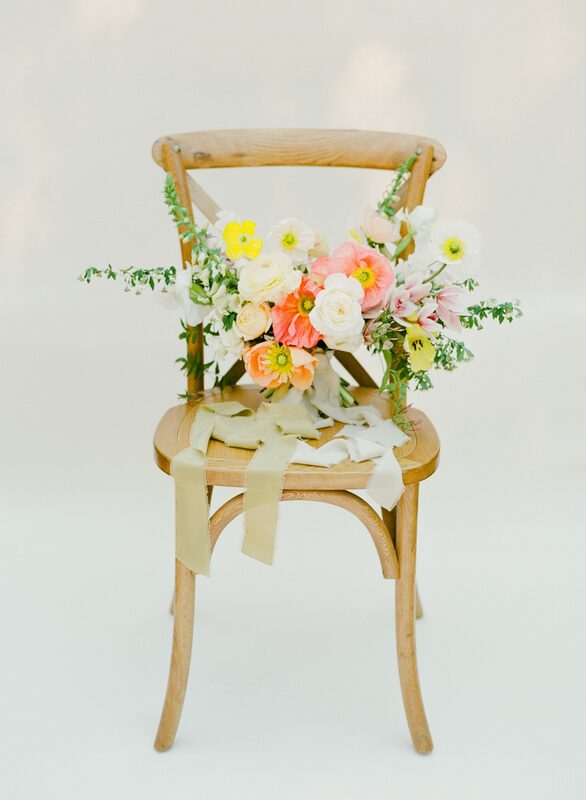 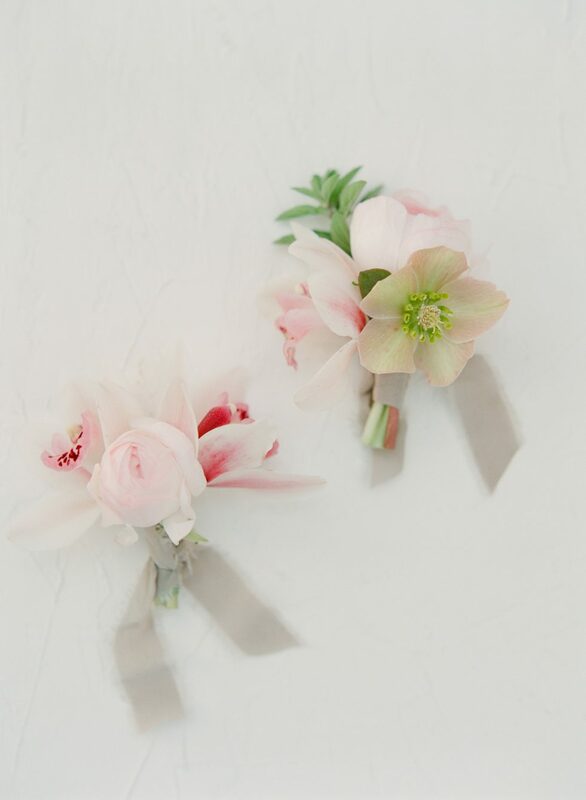 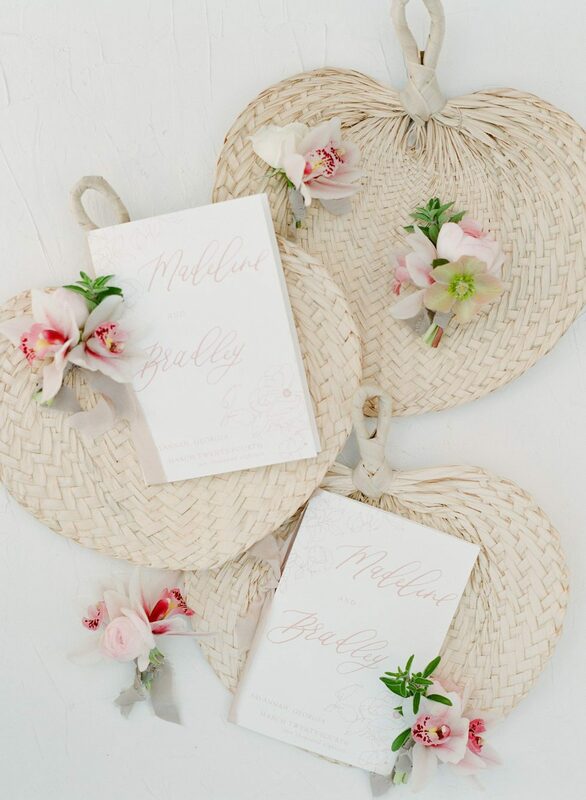 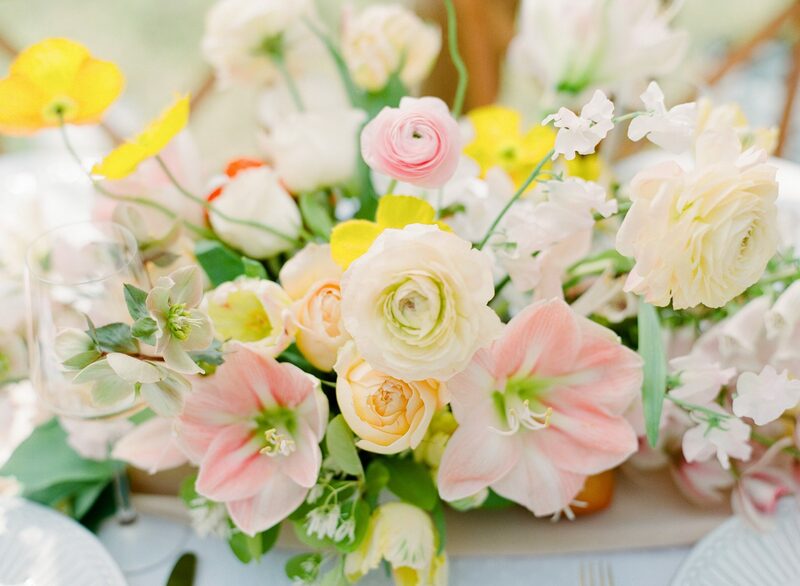 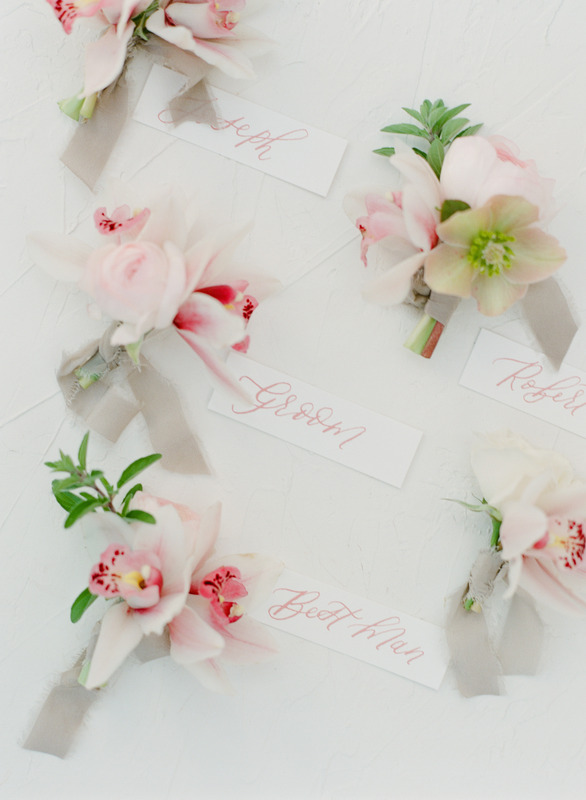 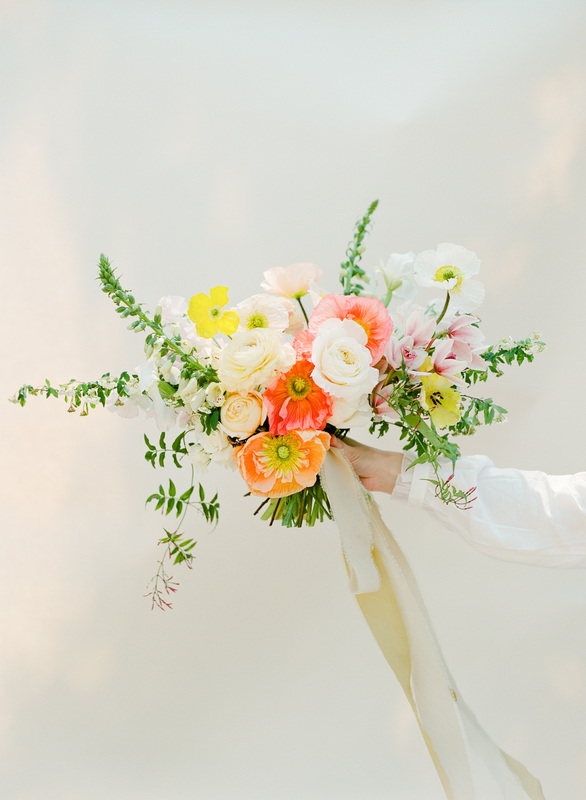 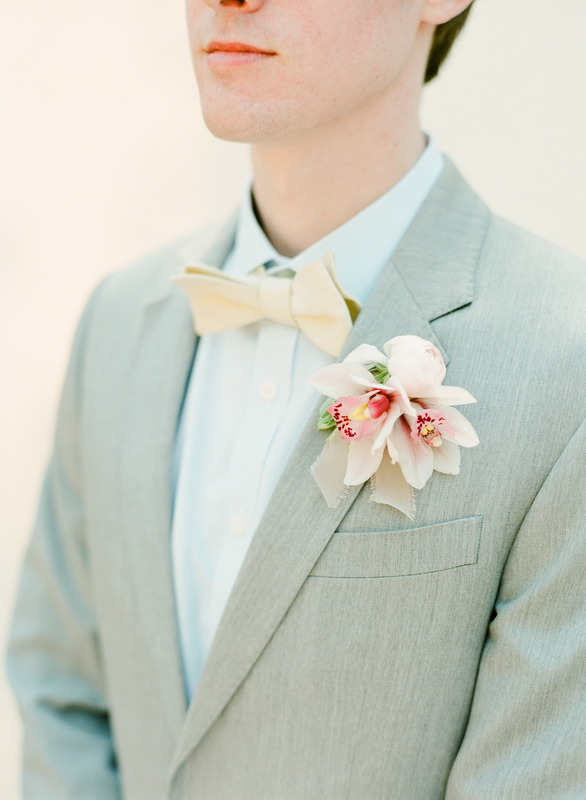 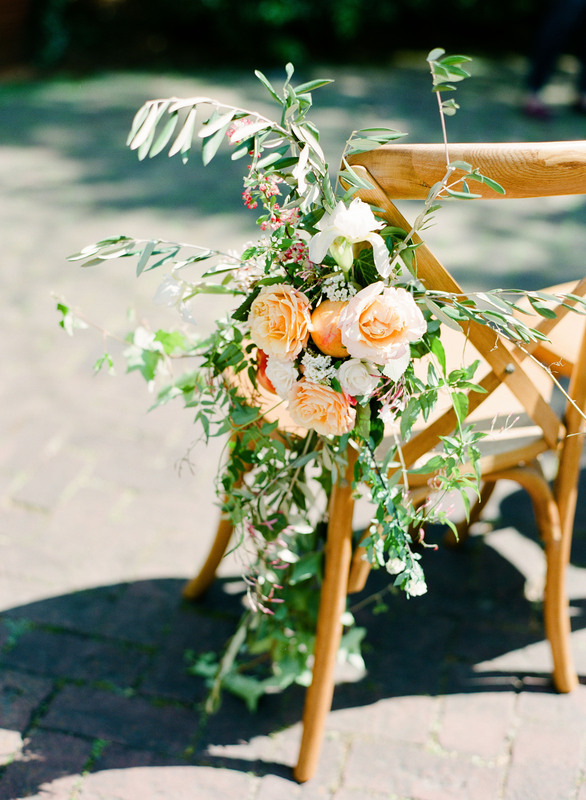 We really wanted the flowers to shine – so we used greens sparingly and really let the blooms do all the talking.